As Rebel Soul prepares to host annual reggae festival Postitive Vibration, Getintothis’ Janaya Pickett catches up with one of its most pre-eminent performers, dub poet Levi Tafari. This year Rebel Soul will once again be hosting annual reggae festival, Positive Vibration, at Constellations on June 10-11.There will be live music, DJ sets, panel discussions, a host of immersive activities and an accompanying art exhibition. 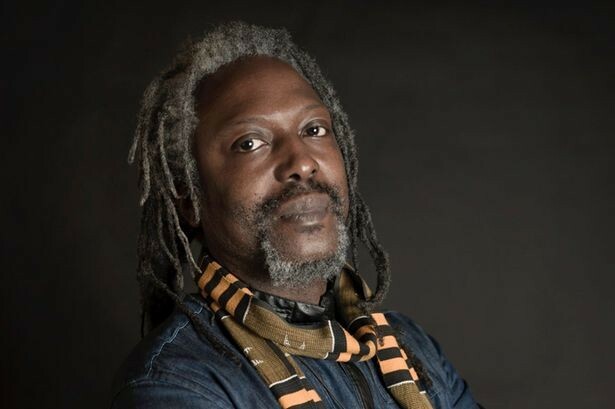 Ahead of the event, Getintothis met up with one of the festivals performers, renowned dub poet and reggae die hard, Levi Tafari, to discuss the influence that the genre has had on him. Along with Tafari, we also spoke with Positive Vibration curator Rory Taylor on the ethos of the festival and the relevance of reggae today. Levi is firstly a poet, but also a musician, a playwright and a community activist. On the scene since the 1980s he describes himself as a modern day ‘Griot’, an African storyteller, musician and news broadcaster. ‘Like a town crier or a court jester’ he explains. Anyone that has talked to Levi knows how engaging he is and how he much he can talk. He has traveled the world speaking and performing at music and literature festivals. What we’re really interested in is his introduction to reggae and the ways its philosophies altered his life. Levi was born in Liverpool in 1960 to Jamaican parents and in his youth became a Rastafarian. Describing the origins of the black music scene in 1950s Liverpool he cites ‘the shebeens‘ as a starting point. But what is a shebeen? It is difficult to imagine this type of world from a 2016 perspective, but it wasn’t really all that long ago. 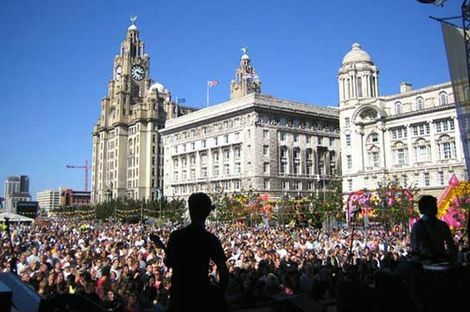 Liverpool has one of the oldest Black communities in Europe, dating back to the 1700s, yet little is written about it. It is only now, on the cusp of gentrification, that the history of the community is being documented and properly considered. “In the shebeens they would play Ska and Rock-steady, music brought in by West Indian seamen. By the 60s and 70s the music got really popular within the black community. People coming from Jamaica were bringing their ideas with them. Sound systems were established in Britain. And in Liverpool we had our own sound systems. The Methodist youth centre is still an integral part of the scene in L8. For example, contemporary act (and GIT Award nominees) MiC Lowry have performed there countless times. Levi speaks fondly of his teenage years at the Methodist and is a gifted storyteller, with vivid memories coming one after another. Levi has played in many bands himself, most notably Ministry of Love and The Players of Instruments, the latter group’s name, he says, being taken from the Bible “and the singers and the players of instruments shall be there”. The Positive Vibration festival is now in its fourth year and Levi is pleased with the attention it’s receiving. “This year there’s been a lot more interest and Rebel Soul – Rory and the posse – it’s good that they put this on. There’ll be an art exhibition this year too. The passion that these guys have, its genuine. You can tell when someone is genuinely passionate and giving props rather than trying to make a quick buck. “Reggae is a force that has enlightened, entertained and strengthened people. Like the festival says, it’s a positive vibration. And you know, that’s like Bob Marley says [*starts to sing*] ‘Rasta man vibration, is positive. I and I iration is positive’. And that’s what it is isn’t it. It’s a positive vibe”. We asked Rory Taylor, of Rebel Soul and Radio Exotica fame, why he felt it was important to have Levi on the bill. “I became aware of Levi when I moved to Liverpool in 2003. Many of my friends from the city, who knew I was into reggae, told me to check him out. Rebel Soul are the Liverpool based events company that celebrate grass roots art and culture, their most notable events being Positive Vibration and the Voodoo Ball Halloween parade.Taylor‘s personal interest in reggae began aged 8 or 9, he explains, “when I first heard [Bob Marley‘s] Could You Be Loved. It blew me away. Not only did it open my mind to other reggae music, but it also got me listening to rhythm and blues, soul, funk and hip hop”. The cultural impact of the reggae movement is something that Taylor feels strongly about. Strongly enough to organise a festival dedicated it to it. “Positive Vibration is a celebration of reggae, the music that influenced it and the music that has come from it. Although there are numerous events and festivals throughout the UK which showcase reggae, I just don’t think it’s celebrated enough. The influence of reggae on British music, culture and society is huge, but often gets overlooked. We’re just doing our bit to support the cause”. The Art of Reggae Exhibition launch party will be taking place June 1 at Constellations. More information here. Positive Vibration will kick off in full on June 10, for more information on the festival line up and tickets, click here.